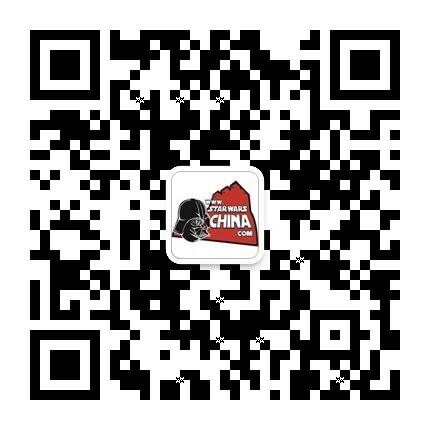 ﻿﻿ 暴火机器人（hailfire droid） - Databank - 星球大战中文网 Star Wars China - Powered by Discuz! A self-aware mobile missile-platform used exclusively by the InterGalactic Banking Clan, hailfire droids delivered surface-to-surface and surface-to-air strikes with their stacked banks of 30 rocket warheads. Hailfires roll along on oversized hoop-like wheels. In between the bracketing axle arms is a small, central body equipped with a single photoreceptor. 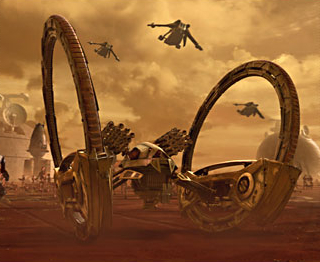 When the InterGalactic Banking Clan pledged its forces to the Confederacy of Independent Systems (in a non-exclusive arrangement, of course), its hailfire droids were added to the immense Separatist battle droid army. The tardy customer or unstable investor has reason to fear late payments or forfeits on loans to the InterGalactic Banking Clan, what with its euphemistically named Collections and Security Division boasting thousands of hailfire droids. The sequenced magpulse drives along the circumference of the hoop-wheels push the droids along at impressive speeds, and the missile launcher pods give the droids a very long reach. Variant versions exist to deal with differing market needs. To help differentiate the "good guys" and the "bad guys" in the confusing battlefield of the Clone Wars, ILM visual effects artists specifically keyed the color of missile contrails to denote its firer's allegiance. The Republic attack gunship rockets leave a clean, whispy white vapor trail while the hailfire droids paint the skies with thick, noxious black exhaust.